Ask your child how they spent their day in school. Make sure your child completes and submits his/her homework and projects in time. Have conversations about the schoolâ€™s extra-curricular events and not just academics. 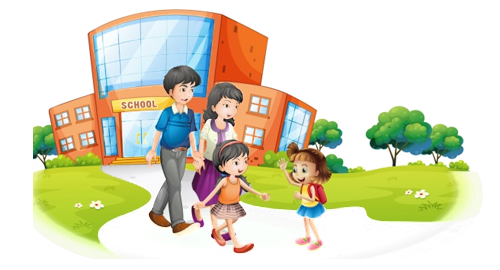 Give time to children at home, and pay heed to their issues and complaints. Read all notes and memos sent by teacher/school. Be regular to PTMs and orientation programmes. Contact childâ€™s teacher immediately if you have any concern. Co-operate in schoolâ€™s efforts to instill and reinforce discipline. FEEL FREE TO GIVE YOUR VALUABLE SUGGESTIONS AND FEEDBACK.